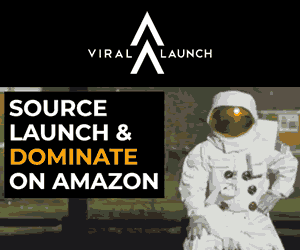 1 What is Amazon Business? 3 How much does Amazon Business cost and how do I sign up? 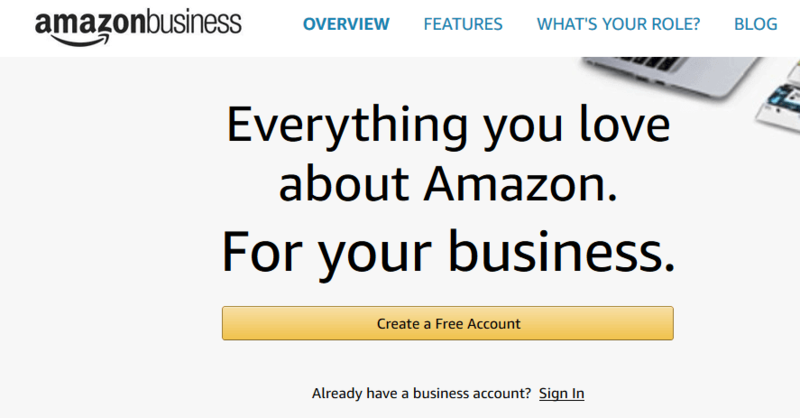 Amazon Business is a B2B marketplace service for big enterprises, SME and self-employees. 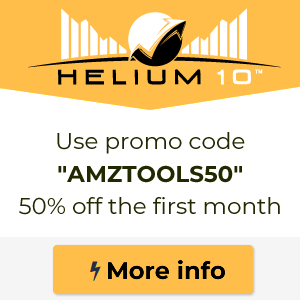 We can sum it all up as: Amazon Business is the Alibaba or Solostocks of Amazon. It is some sort of Amazon for big enterprises, SME and self-employees with a series of characteristics specially thought for this kind of buyer-profile. Amazon is aware that it was born with the clearly call to serve the final client, and little by little, it has been transforming into an standard platform that is used equally by people and enterprises. The main problem is its complicated framework, which has been designed keeping in mind clients of the kind that do wear glasses and take their dog to a walk but not for a corporate client with affects onto the fact that its user-experience is not the best. Actually the main fact of trying to insert a VAT number-code turns out to be a not so easy and intuitive process. You got to register it, and sometimes have to add additional documents (certifying the fact of being a passive subject) and waiting, in theory between 4 or 5 days until you get an OK response. This last tricky twist is really interesting because it makes everything easier for companies. The billing is clearer and the management turns out to be more reasonable and completed. First of all I do have to say that the buying experience is the same one, to be clear, you do not access to any other different page, it is the same Amazon as you have always accessed to, with the same terms (yes, also the Prime aspect) except some important alterations that we are going to talk about now. At the end of all, this is what worries us the most when we are managing a company. When you access Amazon Business our bills are automatically generated with the taxes broken down and it even allows you to treat to the detail each of the concepts, which is an option that makes the life of the person in charge of the billing easier. If you do make more than a buying per month (or whichever the period is) you can download all at once all the billings whenever you do need it in just an only download. When you do surf through Amazon logged as a Business user you may be able to see directly on the product file the costs without VAT so you can have a more exhaustive control of your budget. We would have a stand out visibility for the company-customers of Amazon, which is going to help us buy the Buy Box of such product sheets (we would also have less rivalry than in Marketplace, which would be easier to be number 1). Obviously, it is a service thought for those who buy in large quantities. That is why Amazon does offer us a wide range of prices with discounts depending on the quantity of products that the client may want to buy. Allows limiting the categories accessible for the purchases. The personal responsible do have to define them so we can avoid a videogame or a shampoo bottle popping up on our billing that we could not justify if the man-in-black come to inspect our billing. The multi-user accounts make this problem disappear and you can even assign a spending limit with each and everyone of the users so you can have a great control onto the spending. You can even create groups which, if you do work on a company with a different bureau structure, it would be really helpful. Billing report: they offer a really completed tool that generates in depth and configurable reports so you can make a follow-up of all the purchases on an easy way. Payment methods that can assign one or various users that do have access to the account. This is really recommendable when you are working with different business credit cards. In my opinion it is safer than the typical photocopy or PDF that goes from one to another inside the company without much control. Here is where you can see the more significative changes, if you keep in mind everything I do have explained until this point which is really clear for the client. The business-user of Amazon, when they make an order, may have some extra options as a field to insert the project code or cost center, so we can avoid many questions and incorrect billings of purchases. If you are using a SAP like Oracle, Ariba or similar you can integrate Amazon Business with them if you want to go in depth with them, or you just can go all out of it independently, of course. Finally, a service that does allow us to get to companies of the 5 European marketplaces: UK, Germany, France, Spain and Italy. It isn’t that bad. How much does Amazon Business cost and how do I sign up? Well, you never know what Amazon’s future holds, but for now it does not have any additional cost associated, the fact of opening a Business account. To sign up you just need a corporate email, which is really important, they do not accept email accounts of services such as Gmail, Yahoo or Hotmail. In fact, before opening it officially, Amazon started calling the main sellers of the other types of marketplace and Amazon Vendor in order to offer them to enter into the Business. If you are already using a personal account to make the company purchases you can make the migration and maintain everything associated including your Prime subscription. Beware that even the shopping history of the account will also be migrated and it could be a little bit embarrassing depending on what you may have bought recently. Well, so you already know what there is to know, if you are a company and do need your Amazon bills benefit yourself from signing up onto Amazon Business because they do not always offer that service and you may be needing it so much (call me crazy).